On Tuesday 12th September last year's School Councillors completed their last job of office; they helped the Senior leadership Team and School Governors interview prospective catering companies to run our school kitchen from January 2018. This involved tasting food as well as listening to presentations and asking questions of the companies that are hoping to win the contract to cook and serve our lunches. 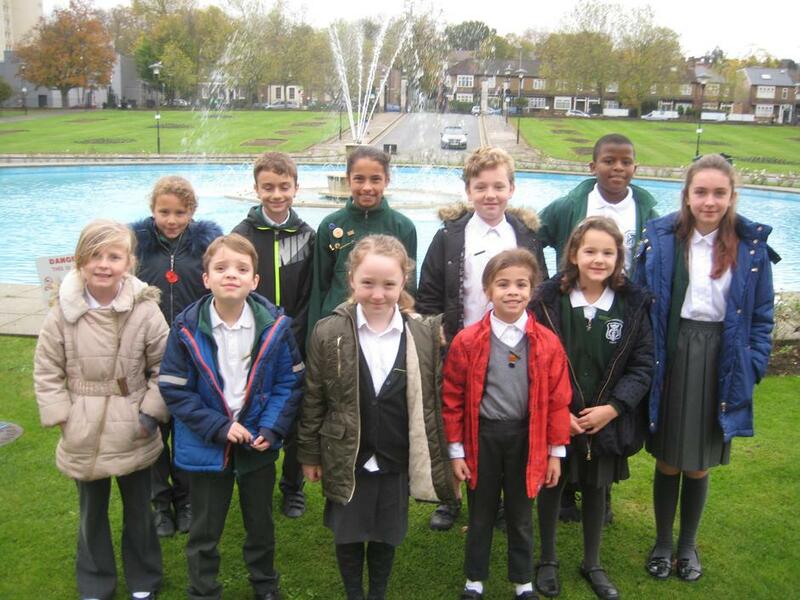 Two 'Associate Councillors' from Year 6 have been appointed to support the school council. These councillors, Alex and Joe, will play a major role in decision making and debate but do not have voting rights. Caitlin and Lily from Year 5 are looking forward to their time in office and both have big plans for improving pupil experience.
' I would like to see better soap dispensers in the toilets. The soap is difficult to pump out properly and doesn't smell fresh enough,' declared Caitlin. Let's see if the school council can bring about the changes they are hoping for! 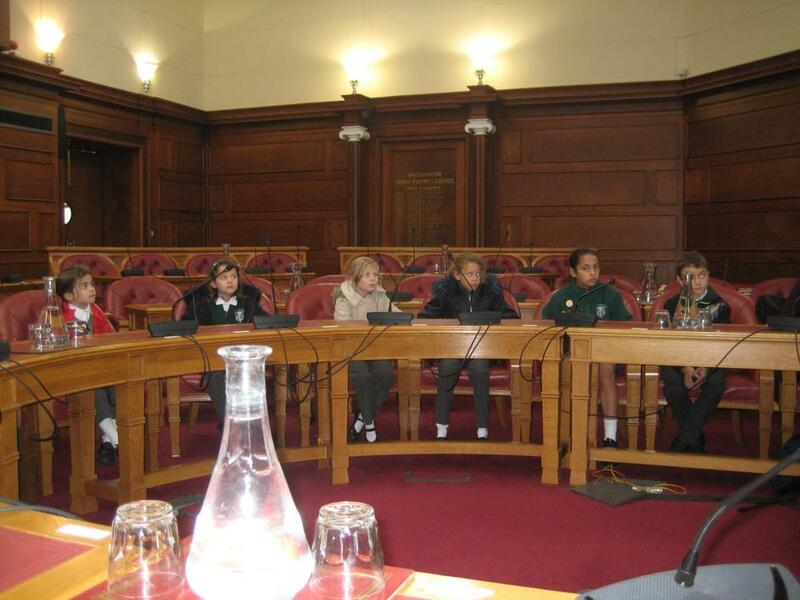 The school's newly elected School Council recently visited the Town Hall to meet the Mayor, Cllr Yemi Osho, at the invitation of Waltham Forest councillor, Roy Berg. 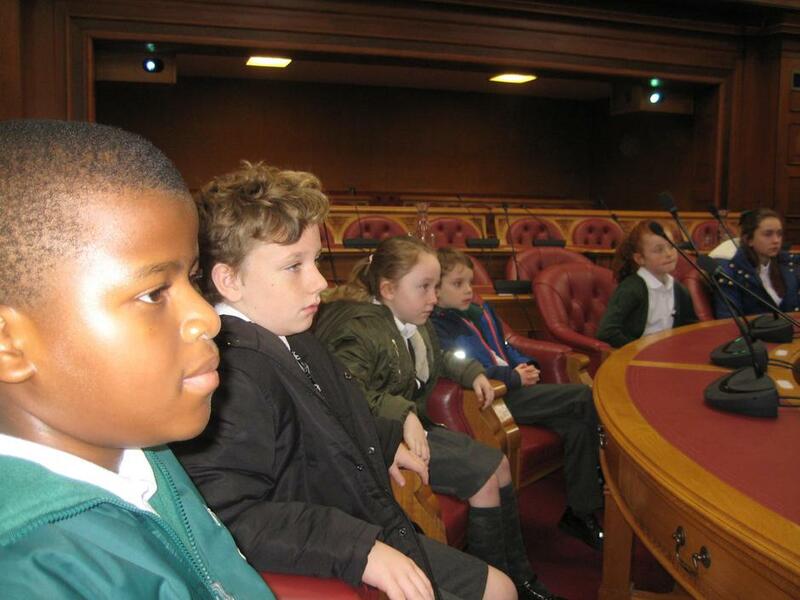 Roy, who is also a governor of the school, talked to the children in the debating chamber about democracy and how the council operates. 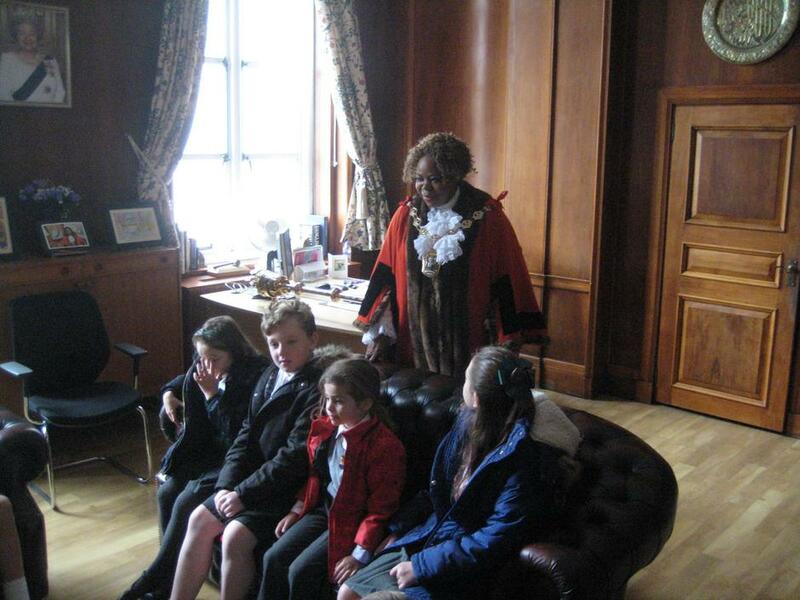 The councillors not only got to meet the Mayor but also managed to get an invite into the Mayor's parlour. The Mayor was concerned to hear about the problems the school has faced with cars not stopping at the zebra crossing on Kings Road. 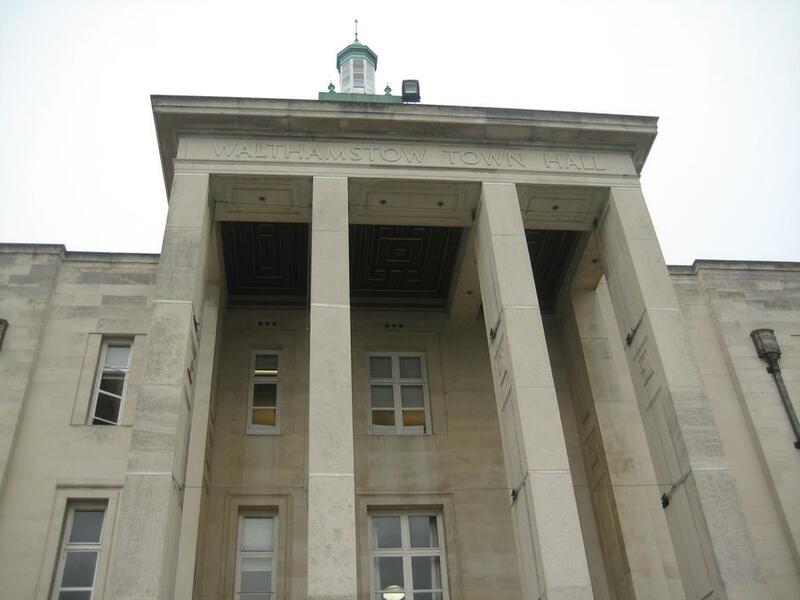 She advised the children to get a petition signed which could be used to get Waltham Forest Council to apply pressure to get a safer crossing.